Veronicaceae - veronica family Dicot. 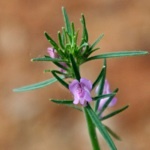 Misopates orontium is an annual plant with pretty pink flowers, it grows quickly from seed in spring, matures and produces seed, completing its life cycle before the heat and drought of the summer months set in. 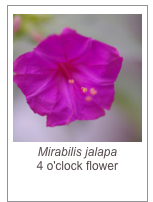 The five petals are fused to form two lips, the upper with two lobes and the lower with three. The lower lip acts as a landing platform for pollinating insects and the upper, a bright flag to attract them in. The pale pink petals are marked with magenta, which guide the insect to the nectar and pollen. The flowers are said to resemble the face of an animal, when squeezed gently from the side the flower opens to reveal a mouth; this has given rise to the common names, in Engish weasel’s snout and in Greek agrio skilaki meaning a puppy, living in the wild. The delightful fruits resemble little birds with long beaaks.